BAKERY customers throughout Scotland have had their say and, today, the experts put their choices to the test at the much-anticipated Scottish Baker of the Year judging day in Dunfermline. 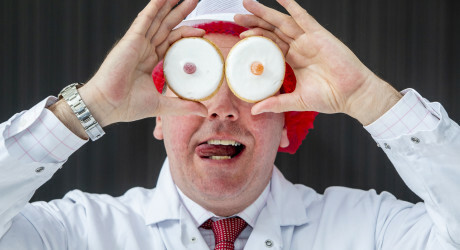 Says Alasdair Smith of Scottish Bakers, who organise the competition, now in its eighth year: “Every day in Scotland, we enjoy a buttery for breakfast, a sandwich made from a fresh loaf for lunch, afternoon tea with mouth-watering cakes and a fresh piping hot pie for supper. “But the bakers who carefully make the pies, scones, loaves, savoury items, morning rolls, individual cakes and biscuits sold in Scotland every day are the hidden gem of our economy and our culture. “So we are delighted to once again be giving Scottish Bakers the chance to shine and showcase their skills!,” he continued. Scottish Bakers was established in 1891 and since then we have represented and promoted the interests of the bakery trade in Scotland.